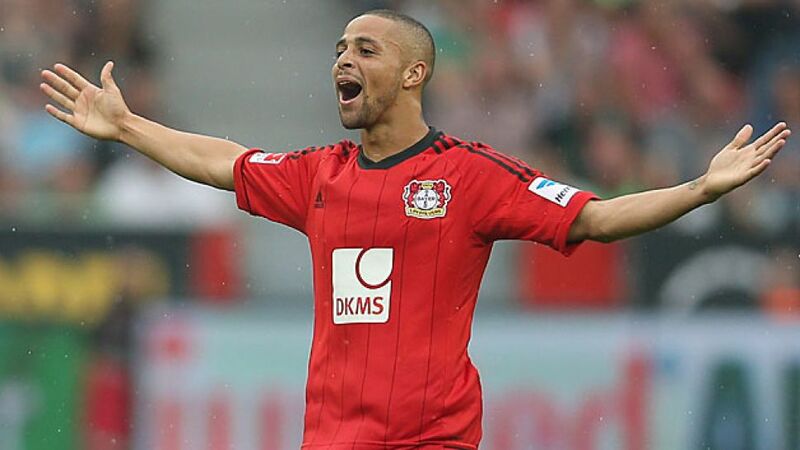 Sam: "I have to keep going"
Leverkusen - Bayer 04 Leverkusen midfielder Sidney Sam is a man on top of his game. After bumping up his season tally to three goals and two assists against Borussia Mönchengladbach on Matchday 3, the 25-year-old discussed his world-beating form, Germany head coach Joachim Löw and Leverkusen's prospects for the campaign ahead. Question: Congratulations on the 4-2 win over Borussia Mönchengladbach and your two-goal display. What did you make of the game? Sidney Sam: We’re happy about the three points. Despite conceding twice, we actually defended well, were compact and gave little away. We switched the play well. It was a good performance against a strong Gladbach side that has really good players and plays good football. It’s normal for Gladbach to have chances. It’s important that we do the job going forward and score goals. We did that. Sam: That’s right. We’ve got a really good mentality and the team has real character. We had to fight last week in Stuttgart and we also came away with three points. Question: How do you explain your own run of form? Sam: I’m really fit and am training very well. It’s working well. Question: Germany head coach Joachim Löw was at the stadium. Do you think you’ll get the call next week? Sam: I don’t know. You’ll have to ask the Germany coach. I just performed. It’s nice he was there. I have to keep going and play well. Question: Could you understand it if Stefan Kießling wasn’t selected? Sam: That’s not for me to say. That’s not my job. Question: What about Bayer? Is their ability to turn defence into attack their biggest strength? Sam: Yes, that’s our game and our system. I’m pleased that we can switch up so well. Question: Three wins from three games. What can you say about Bayer’s start to the campaign? Sam: Yes, three wins are really good, but it’s only the start of the season and we’ve only played three games. We shouldn’t get ahead of ourselves. Question: How far can you go, if the team continue to play like this? Sam: It can only get better. We have to work hard every day and take one game at a time. Then we’ll see. Question: What can you take from the [Gladbach] game? Sam: We can go into the Schalke game full of confidence. We want to win.